7 LISTS Bruce LeeLists about The Dragon. The Bruce Lee effect hit more than just America's Hollywood cinema with the force of a one-inch punch. In fact his legendary Kung-Fu fighting skills spread across the cinematic world like wildfire. Lit by the blaze of his martial arts craze, Bruce Lee clones, fight scene homage influenced by his own style, Jeet Kune Do, and characters inspired by his own characters in films such as Enter the Dragon and Game of Death began popping up in multimedia of every style around the globe, and never stopped. One media realm where Lee's influence is strongly felt is in the world of anime, where martial arts, extremely disciplined protagonists, and plenty of yellow tracksuits emerged in reference to him. Bruce Lee inspired anime in a multitude of expressive and significant ways, some more blatant than others. From shaping the main characters of timeless series like Cowboy Bebop to giving way to the name of one of the world's most popular anime franchises, Dragon Ball, the Bruce Lee impact on Japanese animation provides an outstanding example of his widespread and everlasting Kung-Fu mania. When it comes to anime, the moment the dragon entered the fray, the genre never was the same again. 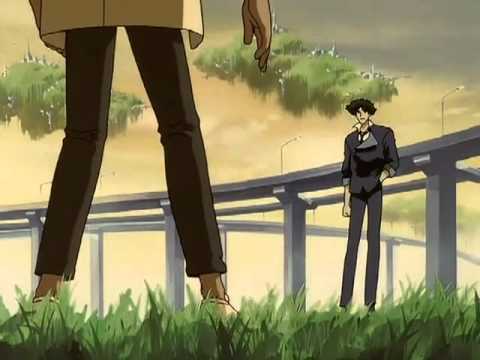 In a scene from this solemn episode of Cowboy Bebop, "Waltz For Venus", the bounty hunting hero Spike Spiegel teaches Rocco a principle of Jeet Kune Do. This technique is a well-known philosophy Bruce Lee followed with great enthusiasm - for one's body to be as reactionary and fluid as water. When you watch Cowboy Bepop, you discover learn Spiegel not only practices Bruce Lee's Jeet Kune Do martial arts, but also adheres to its philosophies as well. Characters Rock Lee and Might Guy from Naruto are sculpted in Bruce Lee's likeness and mannerisms. Rock and Bruce share the surname name and birthday, and both suffered the same type of crippling accident. When Gaara crushes Rock Lee's arm and leg during the Chunin Exam, it strongly resembles the debilitating injury Bruce Lee received during his career that kept him from practicing martial arts for years between his films. The powerful fighting Pokémon duo Hitmonchan and Hitmonlee are based off of two larger-than-life martial arts celebrities, Jackie Chan and Bruce Lee. Although Hitmonlee might not look anything like Bruce Lee, this Pokémon delivers furious flurries of kicks, one that even the skilled martial arts fighter himself might be thoroughly jealous of. The master of the ancient art of assassination and buff-as-heck protagonist of Fist of the North Star, Kenshiro, is directly inspired by Bruce Lee in both looks and personality. 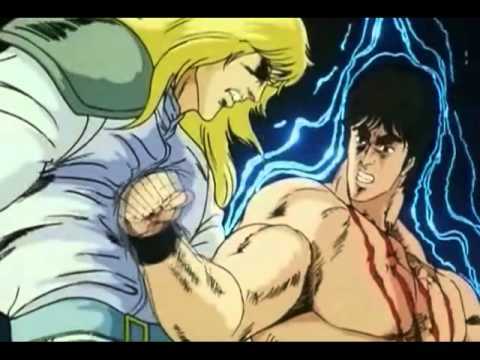 Not only do Kenshiro's fit demeanor and attitude match up, but his fighting style, jumping stance, and high-pitched battle cry ("Kiai") all pay homage to Lee.